Over 80 + network carriers to choose from and connection to 80% of Europe within 50 milliseconds. Not only is our Amsterdam facility one of the most connected. It is also one of the most sustainable with underground Aquifer Thermal Energy Storage. Internap datacentres located near downtown Boston offer plenty of room to grow, utilising superior modular designs to allow for enhanced flexibility and increased reliability. Data centre features offer enterprise-class infrastructure with carrier diversity, an energy efficient design, N+1 redundancy of generator and high power density. Telx’s flagship facility serves as the nerve centre for international communications and offers access to physical connection points to the world’s telecommunications networks and Internet backbones. Occupying multiple floors with interconnectivity between all points, in this site Telx offers low-latency access to more than 400 carriers, financial exchanges and application, media, content, and software as a service providers with just a single connection. With over 50,850 square feet of raised floor featuring the latest in UPS power equipment, Synergy Park has one of the most powerful, yet efficient cooling systems. Fully supported with the same enterprise-class infrastructure and support you expect from Pulsant. We have selected our International partners based on a number of critical factors when delivering a consistent national and international customer experience to our customers. Our footprint ensures a wide choice in international carriers and highly available low latency multi-home network configurations, backed by high quality local network support and monitoring. All of our datacentres offer state-of-the-art infrastructure, resilient utilities, and high levels of site and server security. Our carefully controlled datacentre environments optimise server performance, minimise costs and help you monitor your systems. On-site systems consultants and technical staff provide intelligent advice and support whenever you need it, and because we own all of our own sites, we ensure a consistent, quality experience for all of our datacentre customers. Space available with secure cages, racks, and data halls. Highest level security, datacentres manned 24 hours a day. CSA Star Alliance and ISO 27001 accredited, PCI DSS compliant. Redundant cooling and power solutions. Not just a datacentre - expert advice and technical support you can draw on when required. We enable secure, reliable and available connections. With our managed networking design, delivery and services, we connect your business internally and to the cloud. 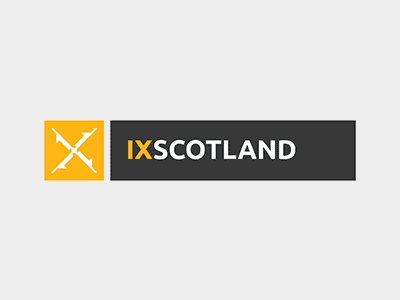 Discover how Pulsant is supporting Scotland’s digital future by hosting the country’s first dedicated internet exchange.